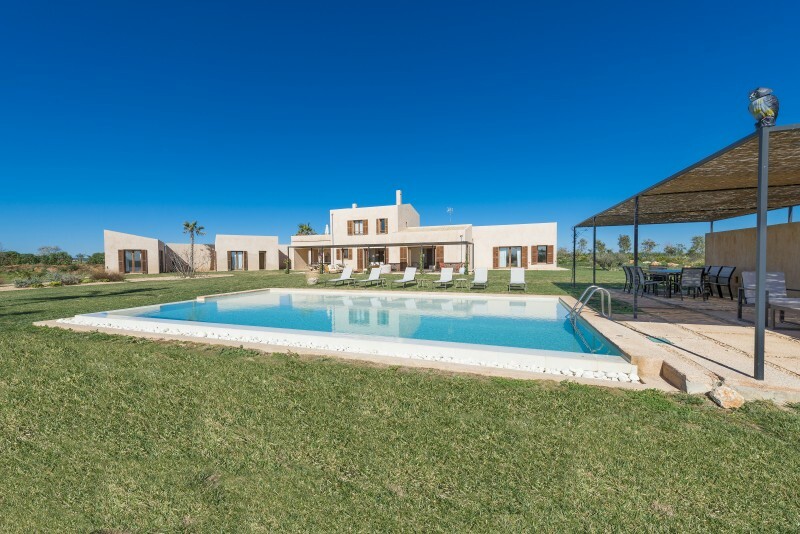 This lovely, rustic cottage with communal pool is located in Campos and offers a second home for 4 guests. This accommodation forms part of a farm with cows and a cheese factory - so you can enjoy rustic and autentic environment. The house was build in 1950 and has been carefully reformed in 2017. You will have access to a 3m x 8m chlorine, communal pool with a depth ranging from 1.1m to 1.9m, two parasols and six sun loungers. There’s a private porch for great al-fresco dining with friends and family. The kitchen-dining room share the same space and is air-conditioned. The sitting area is the perfect place to relax watch satellite TV. The kitchen is fitted with an oven, vitro hob and some cooking utensils. The decoration surprises with a Mediterranean, warm style. The house features two bedrooms (one double bed and two twin beds). The bathroom is fitted with a shower. A cot and a high chair are available on request. Set in Ses Salines, just a few kilometres from the town centre, this lovely house is just a short drive (about 10 minutes) from the dreamlike beach of Es Trenc. In the town centre of Ses Salines you’ll find everything you may need during your stay like supermarket and restaurants. The south coast has lovely beaches as Ses Covetes, Playa des Carbo and Colonia de Sant Jordi.The island’s capital, Palma de Mallorca, ist just a 30 minutes’ drive. The Mediterranean city is famous for the Cathedral La Seu, the Bellver Castle and the Baluard Museum of Contemporary Arts. In the outskirts of Palma you can spend a day in one of the entertainment parks, Westernpark, Aqualand or the Aquarium of Palma. There’s open-air parking space for 6 cars. On the plot there’s a farm with cows and a cheese factory. This house is next to a street and you may hear it.